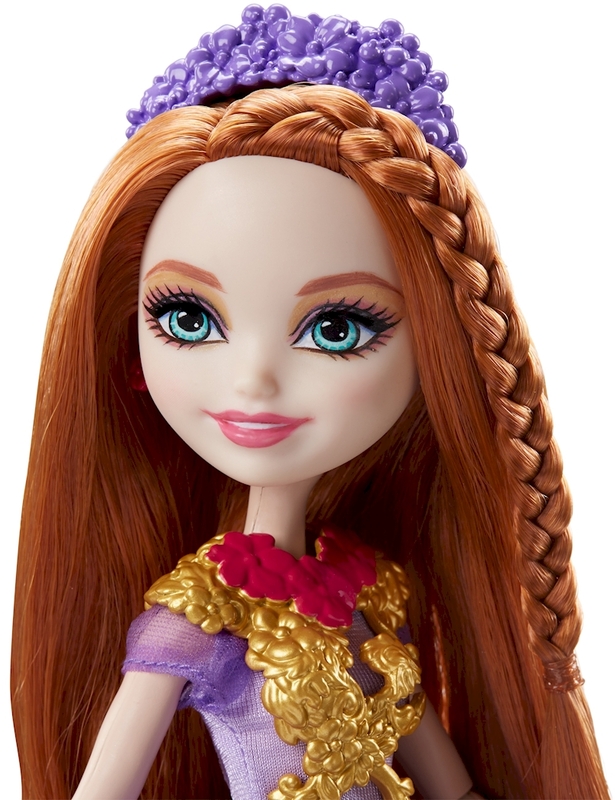 The powerful princesses of Ever After High™ need powerful looks, and Holly O’Hair™ doll wears an outfit that does double duty with a transformation for two-in-one wardrobe fun! Character-specific fashion and storytelling accessories add even more powerful possibilities, while a child-sized ring lets you bring the fun to life. 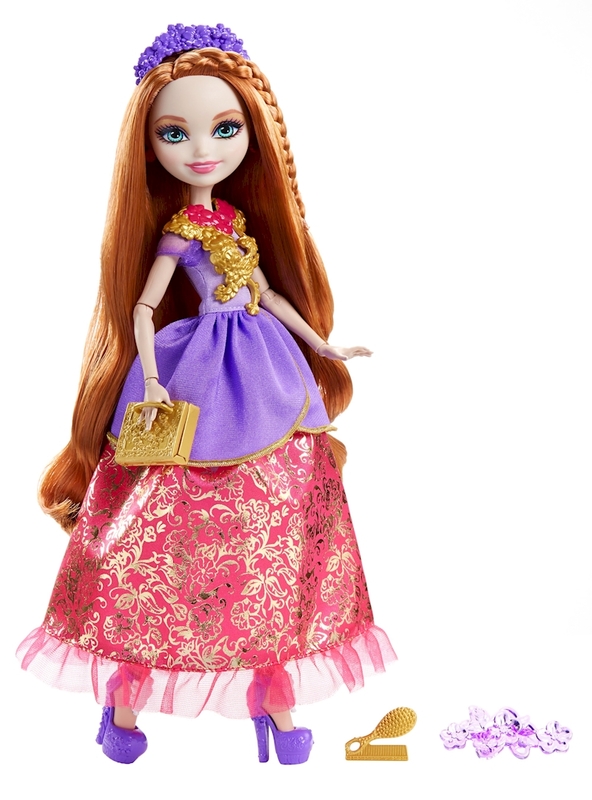 Holly O’Hair™ doll will light up the ball in a fableous gown designed in purple with iconic, shimmery touches and a long layered shimmery gold skirt with pink print -- but remove the bottom layer to reveal an action look with pink pants in an instant. Go from royal occasion to anonymous adventurer and anywhere in between. A decorated pair of purple shoes, a purple floral headband, a pink and golden statement neckpiece and golden box clutch complete both looks. 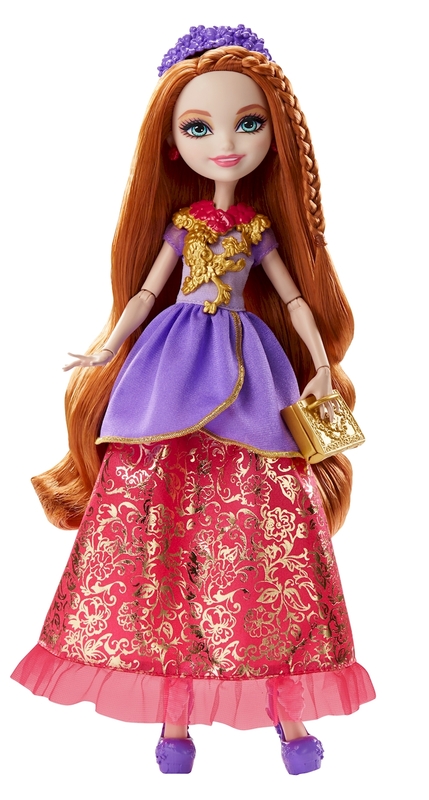 A golden brush and comb set that she can hold in her hand expands the storytelling options and fairytale fun for the daughter of Rapunzel. 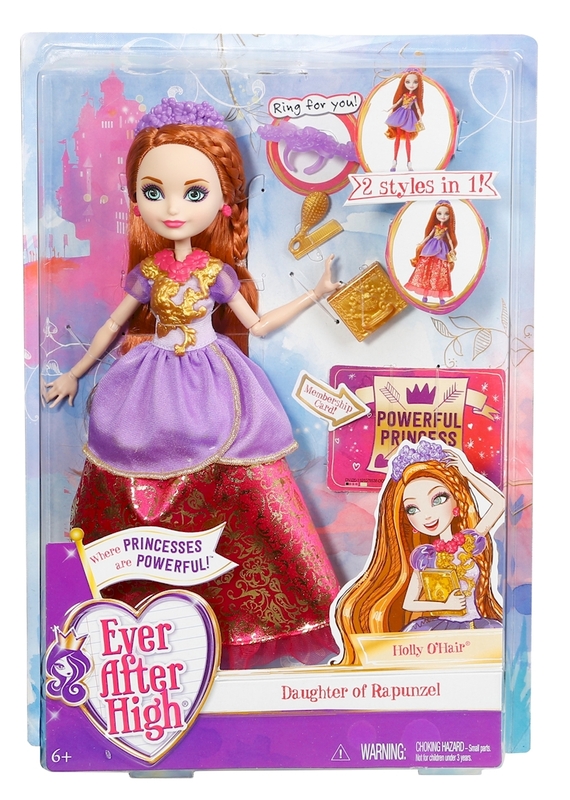 Play out all sorts of stories and explore all kinds of happily ever afters with the powerful princess dolls of Ever After High™, then spellebrate your own power with the child-sized rings.